There is a story held close in everyone’s mind, an unforgotten little voice stashed to the back during busy work days and released into all areas of the brain come nightfall when it is time to dream. Anyone can be a writer – we are all writers – but some people want to expand this talent into a hobby, a career…or perhaps writing stories is like their oxygen. Without gripping novels, somber poems, or thunderous orations, our world would be bland and jejune. 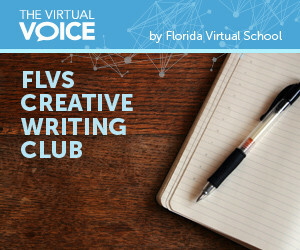 If you have ever pondered an idea, a spark, a dream of a story in your mind that’s begging to break out and be heard, or if you are interested in seeing a hidden talent flourish, then the FLVS Creative Writing Club is for you! Our club is unique and colorful. Many think that writing is just English essay work, but here in the Creative Writing Club, we touch on all areas of writing. From teaching our writers planning and coordination through National Novel Writing Month (NaNoWriMo) and National Poetry Writing Month (NaPoWriMo), to getting down to the nitty-gritty details of characterization, voice, and plot development, we explore all kinds of activities to help you be the best writer you can be. We focus on each activity for one to two months, and you are almost always given the opportunity to share your work with your peers! If you are the type who would love to get feedback on a piece you have written, our Editorial Board would be happy to take a look at your work! We also have Open Mic every meeting, which gives our members the chance to read a small piece of their work to the rest of the club with positive feedback given back. Feeling in the writing mood? Check our club blog for 10-minute writing prompts from NaNoWriMo to help get those creative juices flowing. On our blog, you will also find upcoming meeting dates and times, our yearly schedule, our current monthly activity, the editing submission form, and much more! Your works can also be posted to the blog for the club to see, and members can comment on the work you have done. If you have a writing blog of your own, share it with us on our blog and members can visit you! Are you on Twitter? Follow us! You can also submit small quotes or little postings through the blog to be tweeted on our Twitter account. The Creative Writing Club meets on the first and third Thursdays of every month. 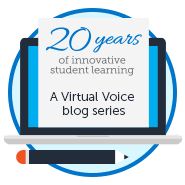 Don’t worry if you miss a meeting; you can find the recording to the latest meeting on our blog. The best part about this club is that it is “low maintenance.” All activities are optional. As long as you can attend at least one meeting per month or post two comments to the blog per month, then you can remain a member! We are ready to meet you, so come join the FLVS Creative Writing Club today! 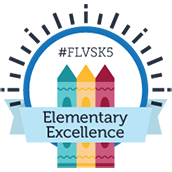 This entry was posted in Full Time Edition, Homeschool Edition, Student Edition and tagged Clubs, creative writing, Creative Writing Club, CWC, Enligh, Extracurriculars, FLVS Clubs, NaNoWriMo, Novels, Poetry, Student Activities, Student Voice, Writing on February 10, 2016 by Guest Blogger.